Darkness. 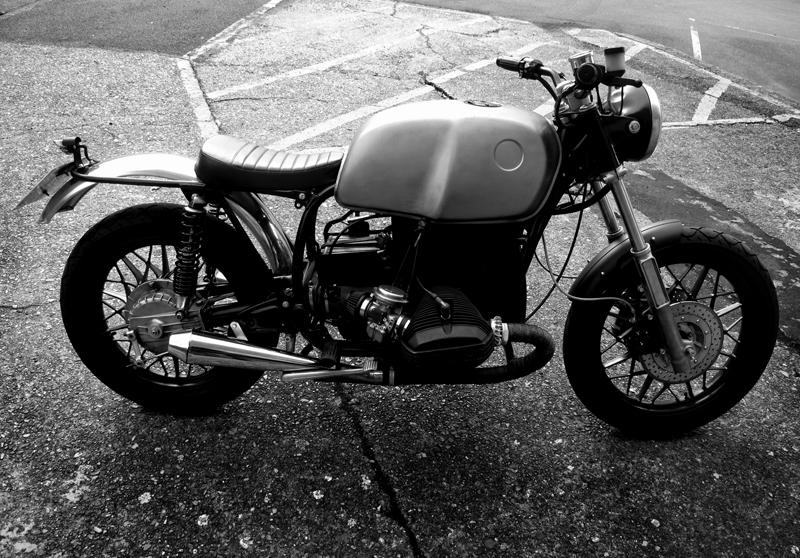 Sweet bike. Expensive camera. Empty lot. What could possibly go wrong? 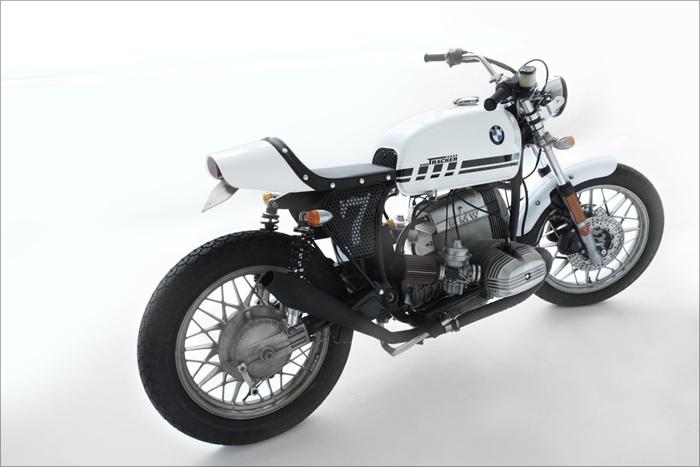 Here’s a encore bike from one Mark Byfield. 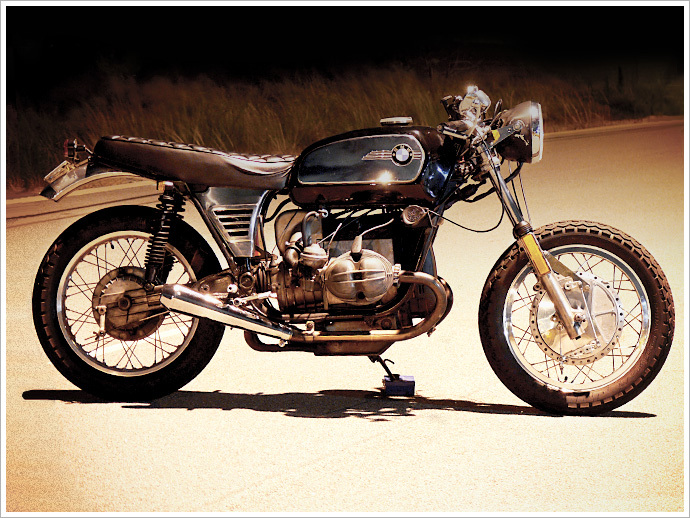 He’s an owner/builder that caused quite a stir with his first bike, an faired ’85 R80 that would easily make our all-time top 10 list. 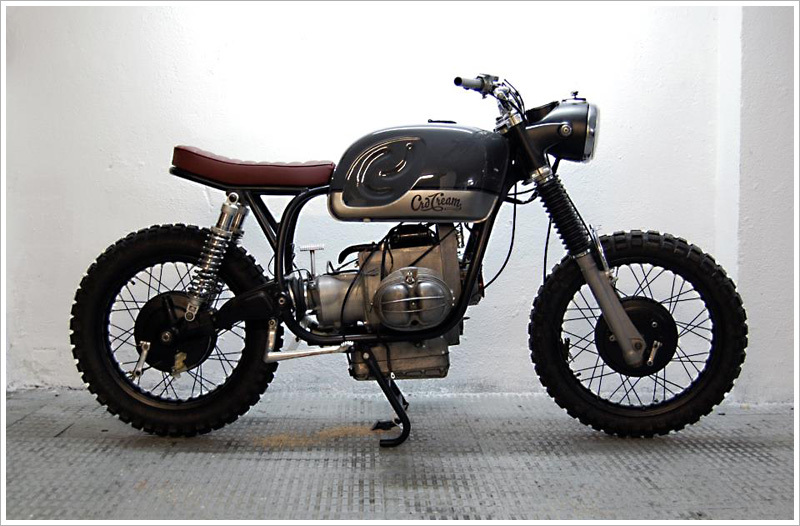 This time he’s shaken things up a bit and gone with, erm, another R80. But has he ended up in a similar place? 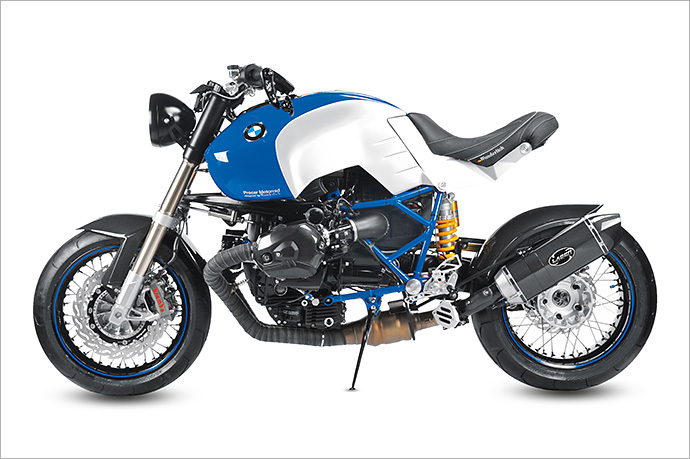 Hells no – for here we see not a beautiful, bare-bones faired racer but instead a caffed-out daily rider with a padded seat, a toaster tank, and some very exxy-looking front brakes. Mark seems to have a knack for making a lot out of a little cash and a large, overflowing bucket of DIY skills. Don’t you just hate him? 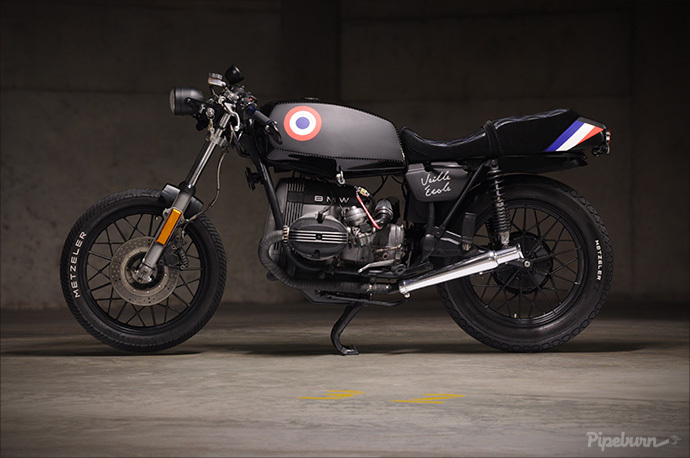 A couple of months ago we featured a beautifully shot video of some French gentleman from Blitz Motorcycles in Paris cruising the country roads of France. The video caused quite a commotion with most people liking it, but we also had our fair share of haters — but as they say in France, “such is life.” Well, hopefully their latest creation, this rough and raw BMW street tracker will show you that these guys aren’t a “bunch of douche bag hipsters” but actually a group of quite talented builders putting out some really impressive bikes. 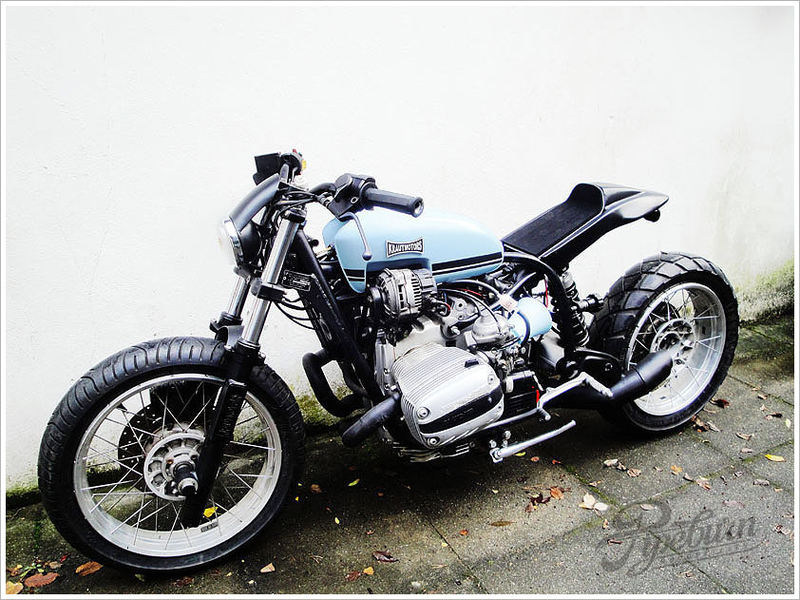 Adam Kay from the U.K. was looking for a donor bike that he could customize and ride everyday – he calls it his ‘midlife crisis’ project. After a little bit of research he came across Victory Motorcycles in Camden London. Rex the owner specializes in BMWs and classic British iron. 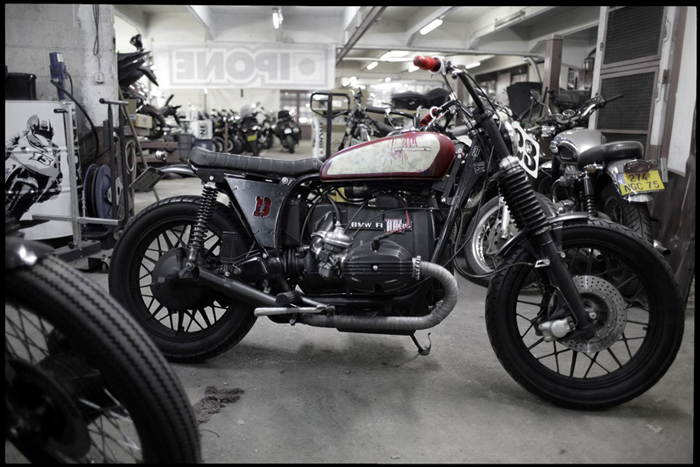 “Rex had a R80/7 for sale so that’s what I got” said Adam. 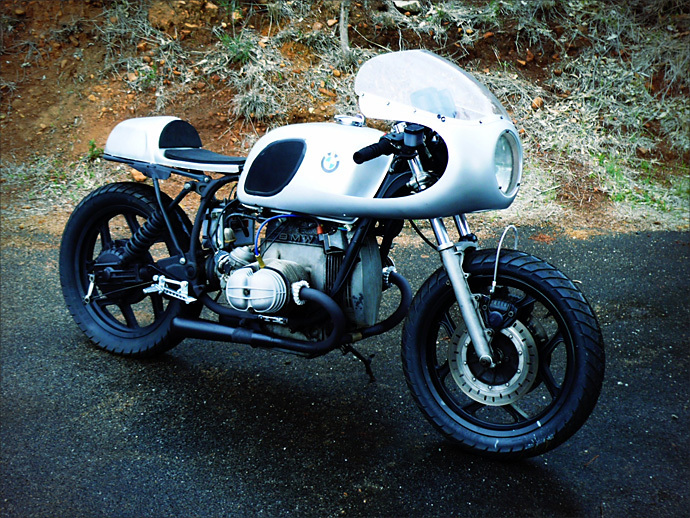 “The style of my custom came from looking at a racing Guzzi I saw on Bike EXIF. 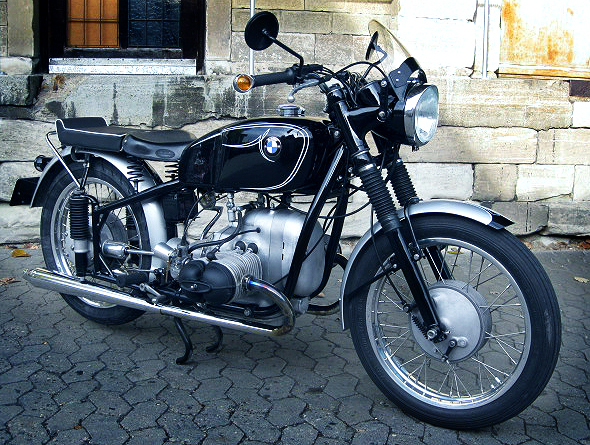 I did all the work myself under the guidance of Rex and as I only had two days a week that I could dedicate to the job, it took me 8 months to customize the R80/7″.